Patricia E. Turner (Fencel) passed away December 5, 2018, at the David Simpson Hospice House of the Western Reserve in Cleveland. 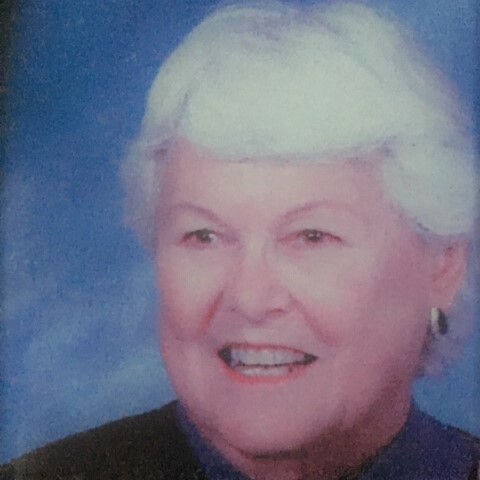 Born in Cleveland on November 11, 1927, she was a lifelong resident of Eastlake, before moving to Breckenridge Village in Willoughby, and she most recently resided at Maplewood Senior Living in Chardon. She was a 25-year employee of the Willoughby-Eastlake School System, working as a secretary at Eastlake Junior High and then at the School Board office. She was married to Robert Turner for 65 years until his passing in 2012. She is survived by her sons, Thomas Turner (Carolyn Griffin) and Dean Turner (Rosemary), two grandsons; Rob Turner (Lauren Caputo) and Matt Turner (Leah), as well as three great-grandchildren, Cole, Aubrey and Barrett Turner. A private inurnment will be held at Willoughby Methodist Church Columbarium. Oh I am so sorry to hear of Pat Turner's passing. I had the pleasure of meeting her and getting to know her for many years from working at Breckenridge Village in Willoughby Ohio. I so enjoyed helping her at her home there. She was always kind to me and we shared little stories of our families with each other. We laughed and smiled a lot. I enjoyed doing little things for her besides cleaning her room. She loved her sauerkraut and she would always ask me to open the jar for her or get water for out of the buttermilk jug. She loved her table in the corner with all her photos on it she had to see it from any angle. Her favorite photo was the one where one of her sons was real young sitting in the flower pot. She was sad when I moved to Florida. I miss her very much. Rest in Peace my friend. Dean and Tom--So sorry to hear of your Mom's passing. We worked together for several years. She was a great lady and a good friend. I fondly remember the spirited Friday night card games at the Meyers. The jokes and belly laughs were fantastic. Pat always took time to talk to us river rats at EJH when we passed the glass office. A wonderful, smiling face. Peace to the Turner family in your remembrance. In 1954, I was blessed to have my parents choose Pat and Bob to be my Godparents. As I got older they become not only my guardian angels but very close friends. Family to me. If I was back home in Ohio, odds are I was in their living room, backyard, attic, the club, kitchen table or out on their boat fishing and reminiscing with Bob. Over the years, situations changed, but I was always welcomed 'home' with open arms and the usual "Cy, you're late!". I will miss Pat as I have missed Bob, and always be thankful for my parent's choice so many years ago. My condolences to the entire Turner Family.